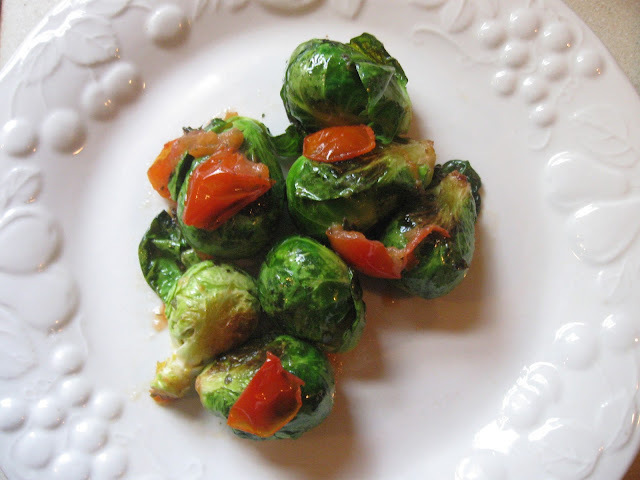 Lately I have been craving brussel sprouts. One of the better things I have craved, so I'm not complaining! This vegetable is packed with vitamins: A, K, C, B6, and B1. It's also been known to help fight cancer and it's full of fiber which will aid in digestion. It's also a low calorie veggie! This is a simple snack or side that you can make with little effort. I got this whipped up in under 15 minutes, so it's perfect if you don't have a ton of time to spare! 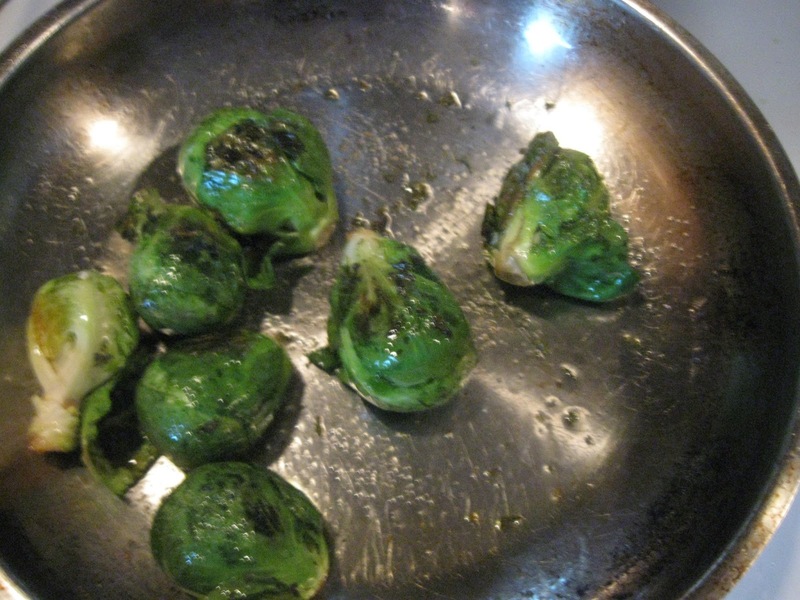 Pour 3 table spoons of olive oil into a skillet and put your burner on medium heat. 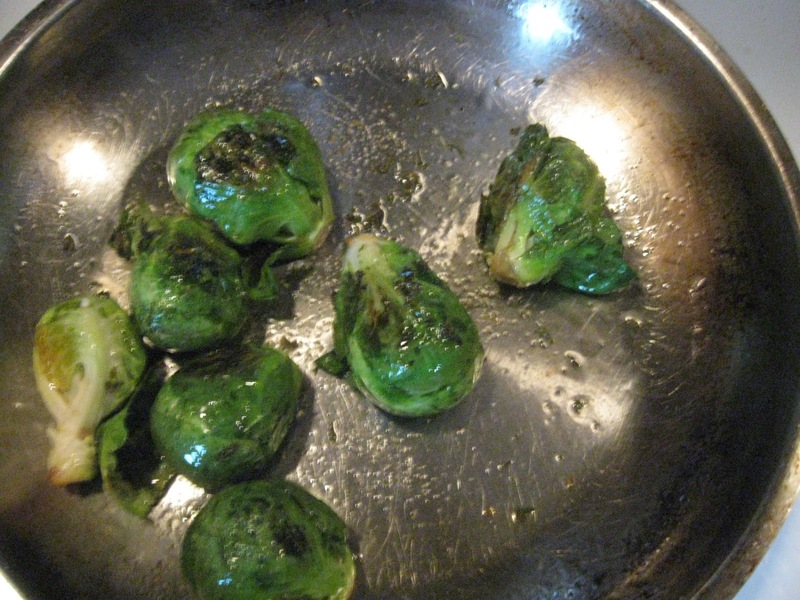 After about a minute, place your brussel sprouts in the skillet, stirring and flipping over your brussel sprouts so they do not burn. After another 2-3 minutes, turn down the heat to low. 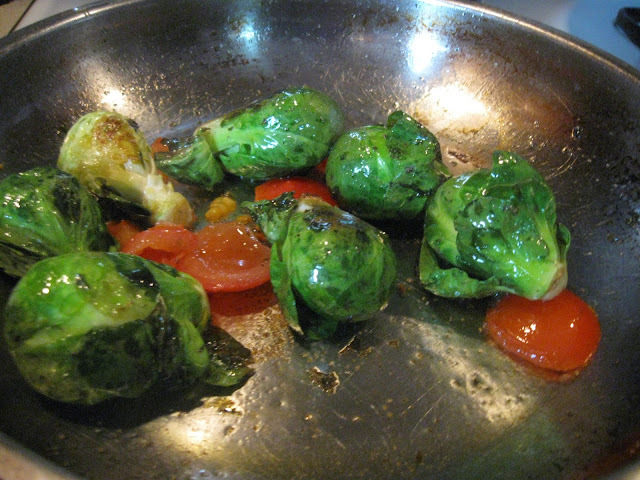 Add your garlic and parsley leaves, and continue to stir and flip the brussel sprouts for another 5 minutes on low heat. Stir in freshly chopped tomatoes, and continue the "stirring and flipping" for another 2 minutes. And that's it! Pretty simple, and really good!